This home is built with a unique Frank Lloyd Wright feel with a simple, linear design using stone, high windows and wood trim. The main area of the home has interior stone walls and a beautiful arched wood bridge that leads from the entrance of the home to the living space. 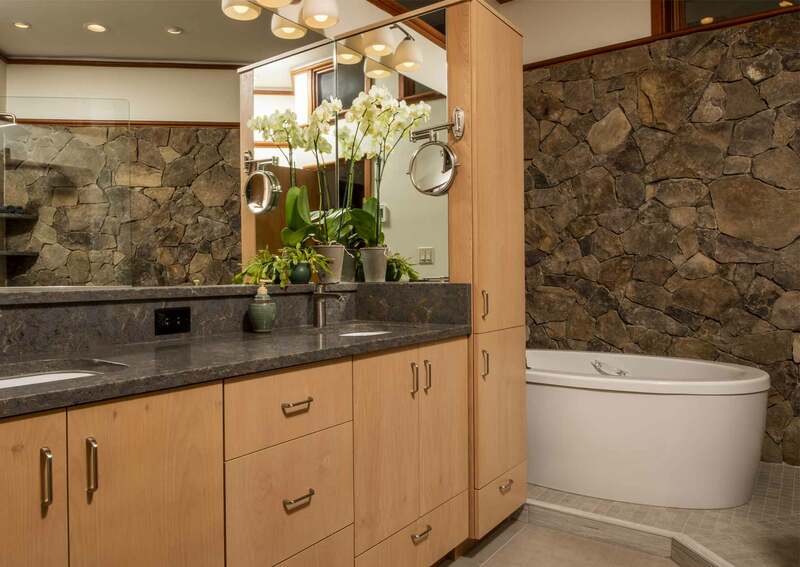 These elements were important to consider when the master bath needed a renovation in order to maintain the overall style throughout the house. 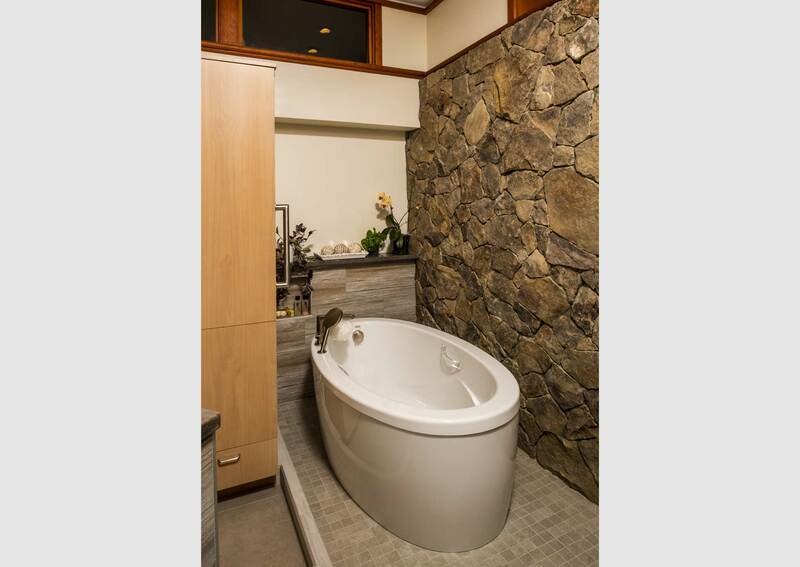 By removing the old bathroom tile and creating a platform for the tub and shower the main floor space is now more open. 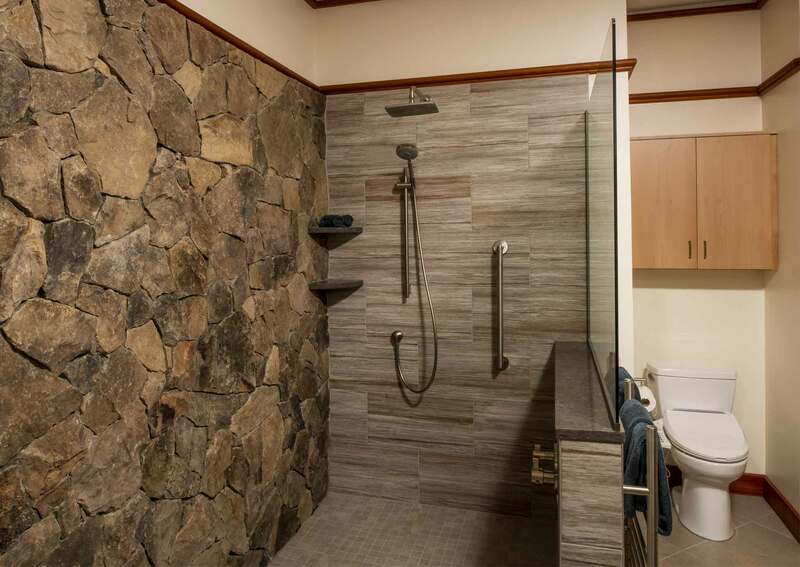 A half wall with a glass panel at the shower keeps an unobstructed view of the stone wall installed to match the stone in the main part of the home. Flat, light color, wood panel doors were used on the cabinetry to maintain the simplicity of the overall design. 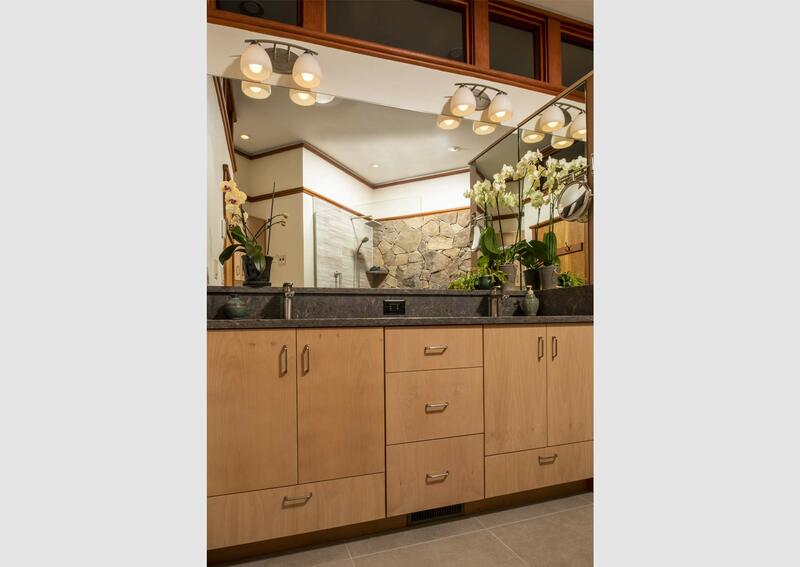 The vanity ends with a tall, custom designed cabinet to store the wife’s jewelry and bath products.